Sigolène McCarthy is an International Speaker and Facilitator of Personal Growth. 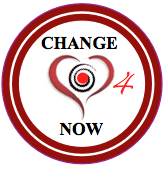 Her program "Change4Now" is designed for people who want to release what is blocking their personal path. Sigolène McCarthy has found that releasing blockages will return one to live more harmoniously with oneself and others. She has been practicing Family Constellation from the works of Innovative Psychotherapists Bert Hellinger and Berthold Ulsamer. Both are International Trauma and Constellation Experts. She also uses Emotional Release Techniques, Basic Result System, Biography Work, Art Therapy and Communication skills. Her work with individuals and groups blends with the Community she founded called Change4Now. Her beliefs are that you heal first on the individual level, then on the family level, then on the organizational level, then on the local and global level. She has conducted private sessions and group workshops in the US, France and Canada since 1996. Specialties: - Resolving issue related to Self-love, Couple, Celibacy, Reconciliation, Separation, Lost, , Family, Parenting, Health, Life and Death, Self- esteem, Immigration, Emotion and Communication, Business with awareness.